Feeling nostalgic for the time of legwarmers, Walkman’s and Rubik’s Cubes? A group of youngsters from Market Harborough may have the perfect solution to help you relive your time when they perform Fame on stage. 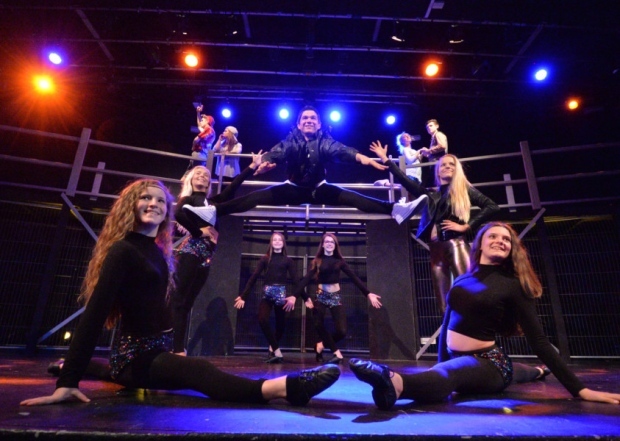 Market Harborough Youth Theatre will stage the adaptation of the 1980s American TV series which was based on thepopular film of the same name. It can be seen at The Welland Park Academy stage from Saturday May 28 to Saturday June 4. Using a mixture of drama and music, it followed the lives of the students and faculty at the fictional New York City High School for the Performing Arts. A spokesman for the theatre group is promising bright costumes, bold performances and catchy tunes. The 1980s musical was a huge success with the film winning two Oscar and nominated for a further four. It also led to the creation of a TV series that ran for five years between 1982 and 1987 and has also been picked up for numerous touring, West End and Broadway productions, The original film was also remade in 2009. The Market Harborough Youth Theatre is a group for children aged between 5-24 and during the year and the cast of youngsters perform two musical shows consisting of acting, singing and dancing a year. The first was in the last week in January and the other during the May half term week. Performances take place at 2pm and 6pm on Saturday May 28 and then 1pm and 4.30pm on Sunday May 29. There will be performances at 7.30pm on Thursday June 2 and Friday June 3 with the final show taking place at 2pm and 6pm onSaturday June 4. Tickets are priced from £6 with family tickets from £26. These are available from Synergy Dancewear on St Mary’s Road or by visiting at www.ticketsource.co.uk/theyouththeatre. For further information give them a call on 07887 895982.